Coffee is packed in 8, 5 lb. bags. This product is a 40 lb. item. 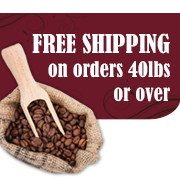 When you order a quantity of 1, you are ordering 40 lbs. Hazelnut Coffee is a delicious, traditional flavored coffee that has been among our Top Sellers for years! Perfect for any occasion or time of day. 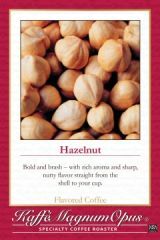 It delivers a bold nutty flavor with a rich, pleasing aroma that is enjoyed by everyone!